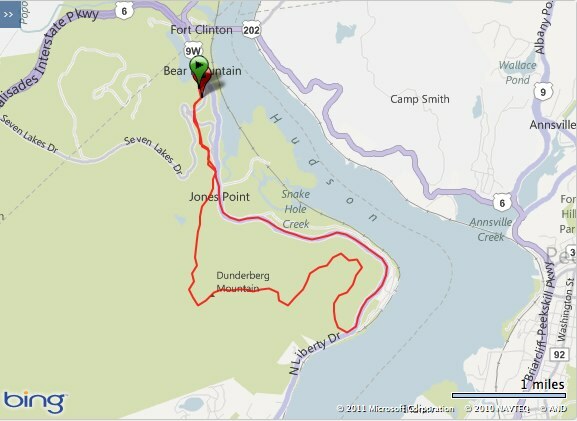 It was a cold, rainy, foggy, soaking wet day for a trip to Bear Mountain State Park, but certainly worth it as I was joined by Cherie and her boyfriend Wayne for a trek through some challenging trails. Running at Bear Mountain is difficult at best (at least for me - rocky, technical trails are not my strong suit), but add wet, slippery rocks to the equation and it is downright nasty. Yet, the three of us had a blast and the tendinitis was a non-factor (so far).